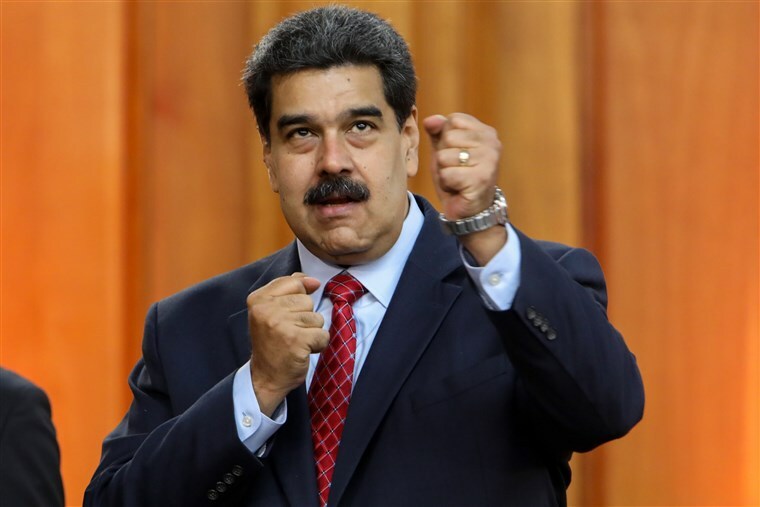 On Tuesday, January 22, 2019, following a video released by the U.S. Vice President where he expressed support for the Venezuelan anti-communist opposition movement and urged them to overthrow the ‘dictator,’ Maduro ordered a total revision of US-Venezuelan diplomatic relations. VP Pence explicitly expressed to the 35-year-old anti-communist opposition leader that he and his followers have the support of the United States. Only a few hours after Pence’s address, Maduro took to state TV and decried the speech as nothing less than flagrant and arrant meddling by the US into Venezuelan internal affairs. Madura added that Pence’s authorization of and support for a coup against him brought US-Venezuelan relations at a historic 200-year low. Although the U.S. still maintains its embassy in the Venezuelan capital city of Caracas, it has been almost a decade since the two countries have exchanged ambassadors. Maduro, a former bus driver, began his second term after he was ‘elected’ in May of 2018. The United States, the European Union, and an extensive collection of Latin American countries have referred to the election as illegitimate and a fraud. Brazil’ newly elected President Jair Bolsonaro has expressed that his government would take any action ‘within the rule of law and democracy’ to oppose Madura’s authoritarian communist government. Maduro initially assumed the powers and responsibilities of the President following the death of Hugo Chávez in 2013. Since he took control of the country, the socioeconomic status of Venezuela has plunged while crime, hunger, poverty, shortages of medicine, and inflation have all become rampant. The current situation in Venezuela is utterly dismal. The International Monetary Fund (IMF) has predicted that inflation in the country is set to reach 10 million percent this year. The United Nations (UN) has reported that the number of refugees feeling Venezuela has now reached three million – a staggering figure considering the country is composed of just 30 million. That means 10 percent of the country’s total population has fled to surrounding Latin American states. After two decades under communist rule, the situation in Venezuela seems to be headed towards some tipping point. When exactly and what that will look like – remains to be seen.